This stackable container has a smooth surface for careful storage of delicate textiles. This reduces the risk and the cost of damage to goods. 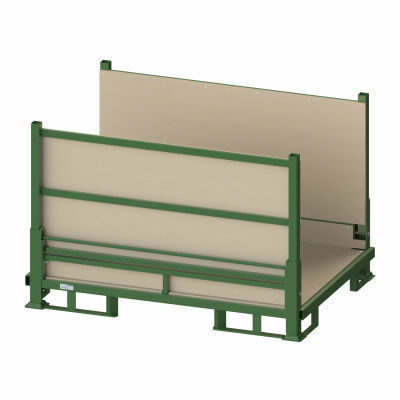 The foldable side walls stand for economical empties logistics, since they allow a volume-reduced and thus inexpensive return of empties. 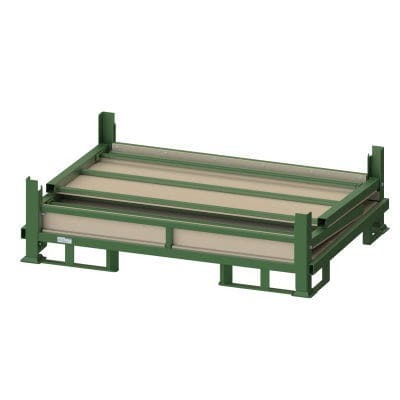 The foldable textile container is suitable for all common industrial trucks as well as roller and chain conveyors. This allows smooth process integration, which saves time and costs. 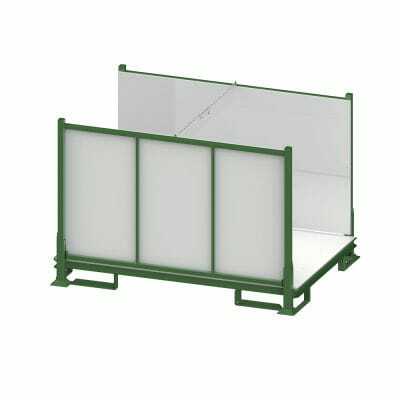 The foldable textile container offers different versions, for example a textile container with metal lining and an additional safety chain, lined with panels made from recycled textiles or with a shelf and dividing frame.